Sybrand van der Zwaag studied Metallurgy at the Technical University Delft and obtained his MSc in 1978 after completing his graduation project at the Dutch Nuclear Research Centre. He then joined the Cavendish Laboratory at Cambridge University (UK) and studied the impact damage in glass and infrared transparent ceramics due to supersonic impact with rain drops. He obtained his PhD in 1981. As a post-doc he studied the relaxation kinetics in amorphous metals (metallic glasses). In 1983 he joined Akzo Corporate Research laboratories and worked extensively on the structure-property relations in aramid and other high performance fibres as well as new fibre spinning technologies. In 1992 he was appointed full professor in the field of Microstructural Control in Metals. His research focussed on the austenite-ferrite phase transformation in steels as well as the microstructural changes in aluminium alloys. In this capacity he was one of the founding fathers of the Netherlands Institute for Metals Research NIMR (now M2i). 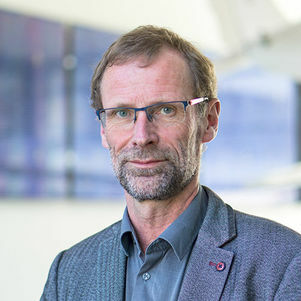 In 2003 he was appointed full professor in the field of Novel Aerospace Materials, which concentrates its research on the design of novel high performance metals, polymers and polymer fibres, self healing materials and functional composites. Professor Van der Zwaag is also director of the Delft Centre for Materials and chairman of the national IOP program on Self Healing Materials. He has published over 500 ISI publications and successfully supervised 50 PhD students. He is member of the Royal Dutch Society for Sciences and fellow of the (British) Institute of Materials, Minerals and Mining. In 2012 he was granted the honorary title ‘distinguished professor’ by the Board of the Delft University of Technology for his efforts to strengthen the collaboration between the university and industry in the field of materials science. 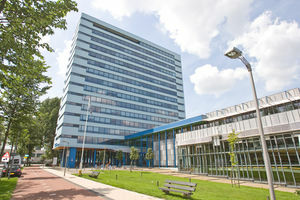 Until July 2016 he was the scientific director of the Dutch Polymer Institute (DPI). In January 2017 he was awarded an honorary PhD degree by the University of Mons (Belgium). In the same year he was awarded a prestigious Chinese research grant and a part-time professorship at Tsinghua University (China). In 2017 he and some members of his team received the Henri Marion Howe medal from the American Society for Metals (USA) for his publications on self healing of creep damage in steels. His research interests are in the field of micro-structure property relations for novel, not yet existing, materials. Within this field he focuses on the computational design of novel high performance metals, the developement of self healing (polymeric, metallic and ceramic) materials as well as the development of novel functional composites. The work is generally of a fundamental nature, but with a clear link to industrial relevance.